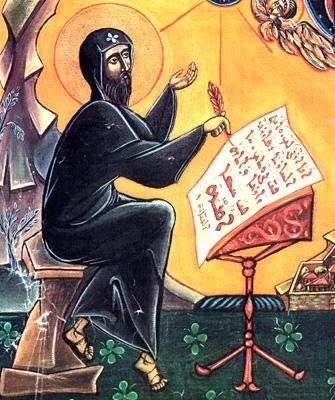 The prophet Amos in the first reading is speaking the word of the Lord, but the priest Amaziah doubts whether it is really the word of the Lord. The problem of Amaziah is one that we can sympathize with: the word of the Lord is more precious than gold and sweeter than honey, but how do we recognize it when it comes? Because we know that evil people and misguided people are quick to say that their own ideas are the will of God. Politicians like to speak for God. So also many people with strong opinions like to claim that their own words are the words of the Lord. How was Amaziah supposed to know that Amos was a prophet and not just an annoying person? I suppose that there was not really anyway to know, not until the words came true. When Israel was invaded and the city destroyed, then Amaziah knew that Amos was a prophet. Perhaps this is not the most convenient way to find out that a prophecy is true. It would be more helpful to believe the prophecy before the invasion, but that is not the point of prophecy. Prophecy does not exist as a form of fortune-telling. When the prophecy came true, people remembered the prophecy and then they knew that God was always aware of what was going on. This is the first use of prophecy: to prove that God knows everything, even the future. But even before the prophecy was fulfilled, anyone could look at the prophecy and see whether it was true. Amos said that the invasion would come because Israel was cruel and merciless. Amaziah should not have been so concerned with whether the invasion would come. He should have considered whether the charge was true. Had Israel in fact become cruel and merciless? This is the second use of prophecy: to convict us about the present reality. Amos came to Israel to remind them that they did not become a nation by their own power. They were a people in covenant with God. Though the rest of the world sinned and got away with it, Israel could not exist if they were not in relationship with God. If we forget where we have come from, it is easier to act as if we were our own gods. This is the third use of prophecy: to remind us of the past and our own history.